Every sports enthusiast knows that a true fan supports their team through thick and thin, but there is no denying that the club’s merchandise has a fluctuating value in the heart of the wearer depending on the team’s latest performance. 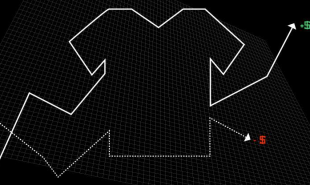 Foot-Trade is a stock exchange for soccer shirts, which translates those emotions into monetary value: the e-commerce site tracks Brazil’s biggest football teams and adjusts the price of the jerseys in real time depending on the progress of each game. The aim is to encourage fans to support their club even when they under-perform, by enabling them to buy a shirt at a lower price. Foot-Trade was created by Brazilian football statistics company Footstats. The web based app converts statistics including goals, corners and tackles into fluctuating jersey prices during Brazil’s greatest rivalry matches. 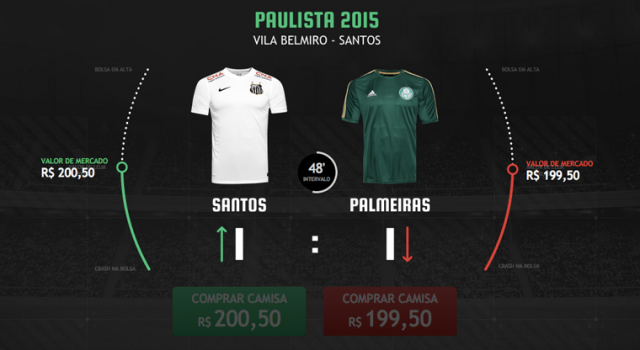 Users begin by selecting which game they wish to follow: the jersey price changes during the match, going up if the team is performing well and down if not. Once the consumer decides to purchase a shirt they have ten minutes to complete their transaction at that price and Foot-Trade continues to operate 15 minutes after the final whistle. Could other countries or clubs adopt a similar approach? Or what other industries could make use of a similar model?